The Municipal Association of South Carolina released a press release this morning to announce that The City of Hartsville and Hartsville Police Department won their Municipal Achievement Award for HPD’s work in building a strong relationship of trust and partnership with the community they serve. 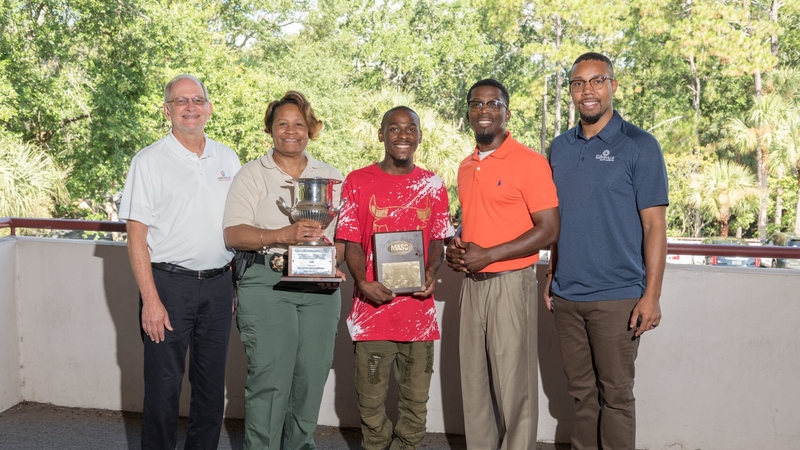 The City of Hartsville received a Municipal Achievement Award for its police department community outreach division. Officials accepted the award during the Municipal Association of South Carolina’s Annual Meeting on July 21. The city won in the public safety category. Thirty cities and towns submitted their projects and initiatives. A gap in understanding had opened between the City of Hartsville’s police department and some of the residents it served. City leaders viewed that gap against the backdrop of the nationwide tensions and decided to take proactive steps to foster relationships with residents and reduce the crime rate. Find the full press release at the MASC.sc website. The MASC created a video about HPD’s activities and what it means for our community for their awards ceremony.